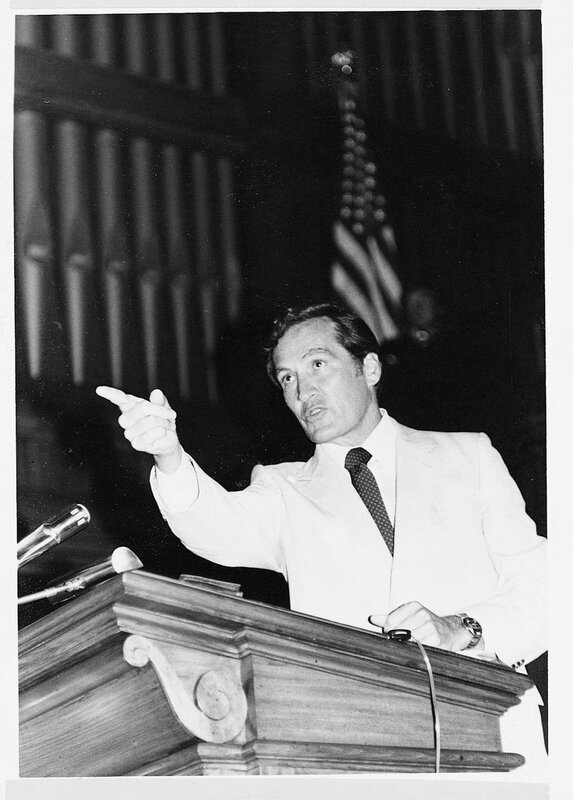 THE SERMON ON EVOLUTION BY ADRIAN ROGERS THAT I SENT TO OVER 250 ATHEIST SCIENTISTS FROM 1992 TO 2015! My good friend Rev. 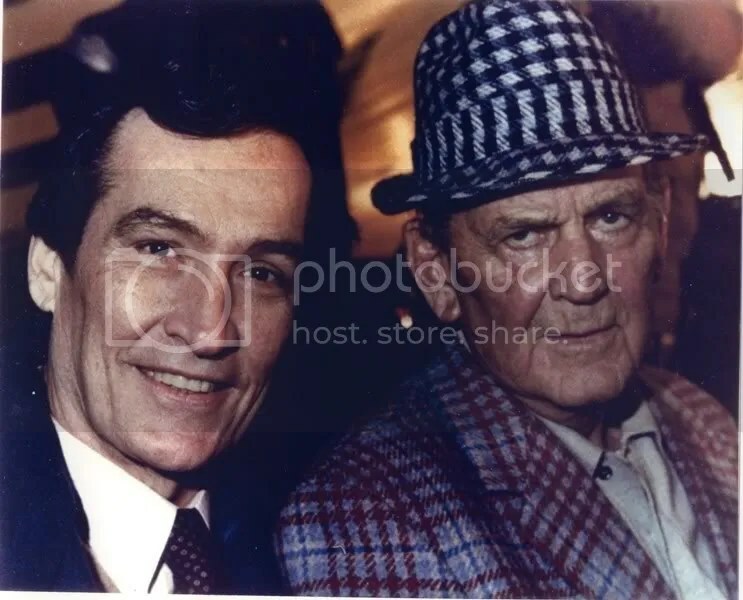 Sherwood Haisty Jr. and I used to discuss which men were the ones who really influenced our lives and Adrian Rogers had influenced us both more than anybody else. During the 1990′s I actually made it a practice to write famous atheists and scientists that were mentioned by Adrian Rogers and Francis Schaeffer and challenge them with the evidence for the Bible’s historicity and the claims of the gospel. Usually I would send them a cassette tape of Adrian Rogers’ messages “6 reasons I know the Bible is True,” “The Final Judgement,” “Who is Jesus?” and the message by Bill Elliff, “How to get a pure heart.” I would also send them printed material from the works of Francis Schaeffer and a personal apologetic letter from me addressing some of the issues in their work. My second cassette tape that I sent to both Antony Flew and George Wald was Adrian Rogers’ sermon on evolution and here at this link you can watch that very sermon on You Tube. Carl Sagan also took time to correspond with me about a year before he died. I have posted on Adrian Rogers’ messages on Evolution before but here is a complete message on it. believe. I can give it to you in a few verses, with gratefulness. I want to join the Apostle Paul in saying, “Giving thanks unto the Father, which hath made us meet to be partakers of the inheritance of the saints in light: who hath delivered us from the power of darkness, and hath translated us into the kingdom of his dear Son: in whom we have redemption through his blood, even the forgiveness of sins: who”—this is Jesus—“is the image of the invisible God, the firstborn of every creature: for by him”—that is, “by Jesus”—“were all things created, that are in heaven, and that are in earth, visible and invisible, whether they be thrones, or dominions, or principalities, or powers: all things were created by him, and for him: and he is before all things, and by him all things consist” (Colossians 1:12–17). Can you say amen to that? Friend, that’s my faith. Without any stutter, stammer, apology, or fear of contradiction from above, that is what I believe. The big question is this: Did God make man, or did man make God? That is, is man in the image of God, or is God in the imagination of man? Is man just an animal, just a clever creature? Did mankind come up here, somehow accidentally, and spontaneously? Did we all arrive from prehistoric slime? Well, if you go to public schools, that’s what you’re going to learn. Now, what is the primary tool of evolution? Well, the primary tools of the evolutionary process, according to Darwin, are two things: One is mutation—that things keep changing; and then, next, natural selection, which has led to the survival of the fittest. And so, over billions of years, we see man—who starts out as some primordial ooze, slime—and, he becomes primitive protozoa. Somehow—magically, accidentally, mysteriously—non-organic matter, nonliving matter, gains a spark of life; and, you get a one-celled organism, a protozoa. And, given a few billion years, that becomes an un¬segmented worm. You didn’t know you were once a worm? And then, that un¬segmented worm becomes a fish. And then, that fish becomes an amphibian. And then, that amphibian becomes a reptile. And then, that reptile becomes a bird. And then, that, bird becomes a mammal. And, somehow, that mammal turns into man. Now, here’s what they were asked to believe, and here’s what, in public schools, you must be taught: that nothing plus time plus chance changes amoebas to astronauts, molecules to monkeys, and then to man. Now, friend, I submit to you—and I’m not really trying to be funny—that is a fairy tale for adults. They believe that time plus chance can turn frogs into princes. The late great Dr. W. A. Criswell used to quote a little poem: Once I was a tadpole beginning to begin. Then I was a frog with my tail tucked in. And now I am a professor with a Ph.D. (author unknown) That’s what they believe. Now, I want to say again, that I wholeheartedly reject this monkey mythology. And, I don’t want to be convoluted; I want to be very simple. I want to give you three basic reasons why I reject evolution. First of all, I reject evolution for logical reasons—I reject it for logical reasons. Now, don’t get the idea that you have to check your brain behind the door not to believe in evolution. Many intelligent and well-trained scientists—listen to me—are moving away from this theory, and it is not necessarily because they are Bible believers; it is because of the lack of evidence for evolution. And, many of our kids are only hearing one side of the story. Let me tell you what some scientists,not Baptist preachers, are saying—but some well-known, respected scientists like Dr. Newton Tahmisian, a physiologist for the Atomic Energy Commission. Here’s what he stated—and I’m quoting him: “Scientists who go about teaching that evolution is a fact of life are great con-men, and the story they are telling may be the greatest hoax ever. In explaining evolution, we do not have one iota of fact”—“In explaining evolution, we do not have one iota of fact.” That’s an eminent scientist who says that. Let me quote you another. Sir Ambrose Fleming (1849-1949), president of the Philosophical Society of Great Britain, explained this—again, I quote: “The evolutional theory is purely the product of the imagination.” Now, this is a scientist—not an ordinary scientist, an extraordinary one—the president—the president—of the Philosophical Society of Great Britain. 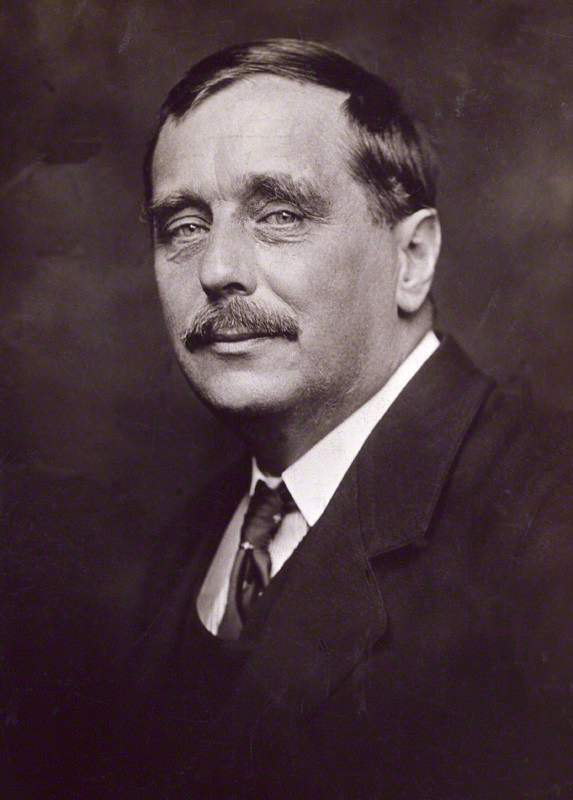 The late president of the Royal College of Surgeons in Great Britain, a leading British surgeon, Dr. Cecil Wakeley (1892-1979) has said this—listen: “When I was a medical student, I was taught the theory of evolution, but I never believed it.” Now, this is a leading scientist and surgeon. Swedish embryologist, Dr. Søren Løvtrup, wrote this—I want you to listen to this quote: “I believe that, one day, the Darwinian myth will be ranked the greatest deceit in the history of science. When this happens, many people will pose the question, ‘How did this ever happen?’” Now again, I want to remind you this is not some Bible-thumping preacher. I have nothing against Bible-thumping preachers, which I happen to be one. But, that’s not who’s saying this. This is an embryologist of no mean repute. (Løvtrup, Søren, 1987, Darwinism: The Refutation of a Myth, p.422, London: Croom and Helm). Don’t get the idea that it’s just evangelical Christians—fundamentalists—who refuse evolution. Many of the greatest scientists who’ve ever lived in the past were creationists. Let me name some of them. This is the “Hall of Fame” in science: Michael Faraday, Lord Kelvin, Joseph Lister, Louis Pasteur, Isaac Newton, Johannes Kepler, Sir William Ramsey, Lord Francis Bacon, Samuel Morris. And, we could name others. All of these men were great scientists, and all of them were creationists. Now, I said I rejected evolution. The first reason is for logical reasons. There are four bridges that the evolutionist cannot cross; and, I want to mention these, and this is all under the heading of logical reasons. The first bridge the evolutionists cannot logically cross is the origin of life—the origin of life. Now, whence came life? Well, if you’re a Bible believer, you know what the Bible says, in Genesis 1, verse 24: “And God said, Let the earth bring forth the living creature after his kind, cattle, and creeping thing, and beast of the earth after his kind: and it was so” (Genesis 1:24). What does the evolutionist say? Well, he’s reduced to guesses. From whence came life? One theory is—and you won’t believe this, but it’s been advanced by men who are supposed to be men of science—that some germ of life from some distant place in space hijacked a meteor, or was carried by a meteor, to Earth; and, that’s how life originated on Earth. All that does is just move the question back: How did life originate somewhere out yonder in space? Others talk about something called spontaneous generation. That is—the way they love to explain it sounds so scientific—a fortuitous concourse of atoms. Well, that means, “kind of a flash of lightning through gas vapors, or green scum, or something.” Here’s this original soup; and now, ipso facto, it somehow just comes together—bing, there’s life. Let me tell you something: Dr. George Wald–Professor Emeritus of Biology at Harvard University—he won the Nobel Prize in Biology in 1971—writing in Scientific American on the origin of life, has said this—and I want you to listen carefully: “There are only two possibilities as to how life arose: One is spontaneous generation arising to evolution. The other is a supernatural creative act of God. There is no third possibility.” And, we would all say amen. Either God did it, or it just happened accidentally. All right. But now, let’s go on. So far, he’s doing good. He said there’s no third possibility. “Spontaneous generation, that life arose from nonliving matter, was scientifically disproved 120 years ago”—that was 120 years from when he made this statement—“by Louis Pasteur and others. That leaves us with only one possible conclusion: that life arose as a supernatural creative act of God.” So far, so good. But now, tune your ears, and don’t miss this. I want you to hear what this Nobel Prize winning scientist, Professor Emeritus of Biology at Harvard, said. Now remember, he said there are only two possibilities: Either there’s a creative act of God, or it is spontaneous generation that arises or moves to evolution. He said—and I’m continuing to quote: “I will not accept that…”—what that is he referring to? That it is a supernatural creative act of God—“I will not accept that philosophically, because I do not want to believe in God. Therefore, I choose to believe what I know is scientifically impossible: spontaneous generation arising to evolution.” Two theories: God did it; it just happened. “To say it just happened is impossible, but I believe it, because I don’t want to believe in God”—written in Scientific American. But then, more than a century ago, Pasteur said that was impossible, and he proved spontaneous generation of life impossible. And, I want to tell you a basic axiom of biology: that life only arises from life. That is a basic axiom of biology. No biologist today would dare say that you can get life from anything other than life. They would say, scientifically, it is impossible to get life from nonliving matter. This law in science is called the law of biogenesis. It is a basic law of science. And, the evolutionist, without any proof—none, nada, none—would say it happened: “We know it’s impossible, but it had to happen, because we don’t believe in God.” No evolutionist—none—can show the origin of life. But, in order to prove evolution, friend, he’s got to start with the origin of life. He cannot cross that bridge. This might interest you that good friend in Little Rock Craig Carney had an uncle named Warren Carney and Warren was born in 1917 and he was the last living witness of the Scopes Monkey trial but he died in June of 2015. His father took him to the trial every day since they lived in Dayton and it was the biggest happening in the town’s history. Also I attended the funeral of Dr. Robert G. Lee (1886-1978) at Bellevue Baptist in Memphis and he is the minister who presided over William Jennings Bryan’s funeral in 1925. 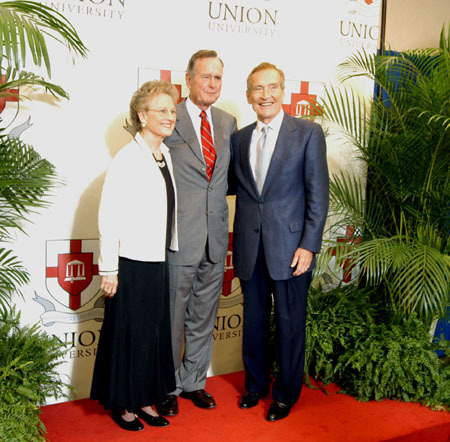 I have posted Dr. Lee’s most famous sermon PAYDAY SOME DAY on this blog and it continues to get lots of views everyday. Now, what does the Bible say about the species? Well, Genesis 1, verses 11–12: “And God said, Let the earth bring forth grass, the herb yielding seed, and the fruit tree yielding fruit”—now, listen to this phrase—“after his kind, whose seed is in itself, upon the earth: and it was so. And the earth brought forth grass, and herb yielding seed after his kind, and the tree yielding fruit, whose seed was in itself, after his kind: and God saw that it was good” (Genesis 1:11–12). You continue this passage. Ten times God uses this phrase, “after his kind”—“after his kind,” “after his kind”—because like produces like. 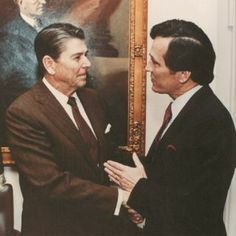 Adrian Rogers pastor of Bellevue Baptist in Memphis visiting with Ronald Reagan in White House pictured above. When I was in school, I studied about the Java ape-man. If you go back as far as I do, you studied about the Java ape-man. Where’d he come from? Well, in 1891, Sir Eugene Dubois found, in Java, the top of a skull, the fragment of a left thighbone, and three molar teeth. He announced the missing link had been found—750,000 years old. These bones that he found—these sparse bones—were not found together, and they were found scattered, over the space of one year. Twenty-four eminent scientists got together to investigate these bones; they were from Europe. There was no agreement. Ten said that they were the bones of an ape; seven said that they were the bones of a man; seven said that it was the missing link. Later, Dubois himself had to confess that it was the remains of an ape. But, in the museum, he is called Pithecanthropus Erectus— “the ape-man who stands up.” But, he’s just an ape. And, Dr. Austin H. Clark, noted biologist of the Smithsonian Institute, said this—listen to this, this is Smithsonian: “There is no evidence which would show man developing step-by-step from lower forms of life. There is nothing to show that man was in any way connected with monkeys. He appeared suddenly and in substantially the same form as he is today. There are no such things as missing links. So far as concerns the major groups of animals, the creationists appear to have the best argument. There is not the slightest evidence that any one of the major groups arose from any other.” Folks, again—not that I’m embarrassed at being a Baptist preacher—but that’s not a Baptist preacher speaking; that’s a biologist at the Smithsonian. You see, folks, there are some bridges that they cannot cross. One bridge is the origin of life. George Wald said, “That’s impossible, but I believe it—spontaneous generation—because I don’t want to believe in God.” The other is the fixity of the species. We don’t have any evolutionary fossilized remains, missing links. Well, why would that be? Well, I preached on that, this morning. We have a creation that is under judgment. And, because it’s under judgment, it involves decay and death. Romans 8:22: “For we know that the whole creation groaneth and travaileth in pain together until now.” Left to themselves, things do not organize; they disorganize. They collapse; they deteriorate. They grow old; they die. They wear out. You can have a beautiful garden. Leave it alone—what happens to it? Leave your body alone; don’t exercise. Don’t take care of it, and see what will happen to it. Take a brand new automobile; park it in the woods. Go off, and come back in a few years; and, see what has happened to it. Or, even a boy’s bedroom—leave it alone; see what is going to happen to it. Now, the evolutionist says, given enough time, these molecules are going to organize themselves; they’re going to synthesize themselves. The parts are going to come together from simplicity to intricacy. Well, if you would take the parts of a new automobile, and fly at the height of 10,000 feet, and dump them out, would they assemble themselves into an automobile, before they hit the ground? Suppose I drop the disassembled parts of a car from an airplane at 10,000 feet. Would they assemble themselves before they hit the ground? “Well,” you say, “of course not. They’d be just spread out all over.” Well, the evolutionist would say, “Well, you just don’t have enough time.” Okay, rather than 10,000 feet, let’s take it up to 100,000 feet. Now, is it going to be more organized or less organized? You see, the more that time goes on, the more disintegration you have. Everything we see disintegrates, not integrates, when left alone by itself. That is called the Second Law of Thermodynamics. Now, here’s the fourth bridge that the evolutionists cannot logically cross, and that is the non-physical properties found in creation. Now, what do I mean by the non-physical properties found in creation? Music, Brother Ken—the love of music, art, beauty, a hunger for God, worship. What is there in the survival of the fittest—what is there in the evolutionary process—that would produce these things? How can they be accounted for under the survival of the fittest? Where do these things come from? Genesis 1, verse 26: “And God said, Let us make man in our image, after our likeness…” (Genesis 1:26). You see, we have these inner things—this love for beauty, for art, for truth, for eternity. That didn’t come from some primordial ooze; that came from the God who created us. Now, I’ve mentioned all of this under one heading. It’s the first of three reasons; all of this is the first of three reasons. I reject evolution for logical reasons. There are four bridges that the evolutionists cannot cross, has not crossed, will not cross. I reject evolution for moral reasons—for moral reasons. Now, there were two atheists, who lived in the time of Darwin, who believed Darwin’s teaching and locked onto it. One was a man named Nietzsche, and the other was a man named Karl Marx. From Nietzsche we got Nazism. Hitler was a student of Nietzsche, who was a student of Charles Darwin. The other was Karl Marx. 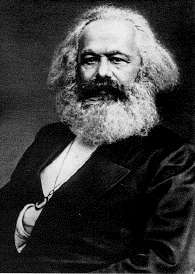 Karl Marx was the father of Communism—also a student of Darwin. And, you see, it’s easy to understand, if there is no God, how something like Communism, which is based on Godlessness, and Nazism, which is based on raw brutality, could come. People talk about all those who’ve died in religious wars—and many have, and that’s tragic. But, I want to say that far more—multiplied many more; millions, and millions, and multiplied millions—have died—not because of religion, but because of anti-godly evolution. 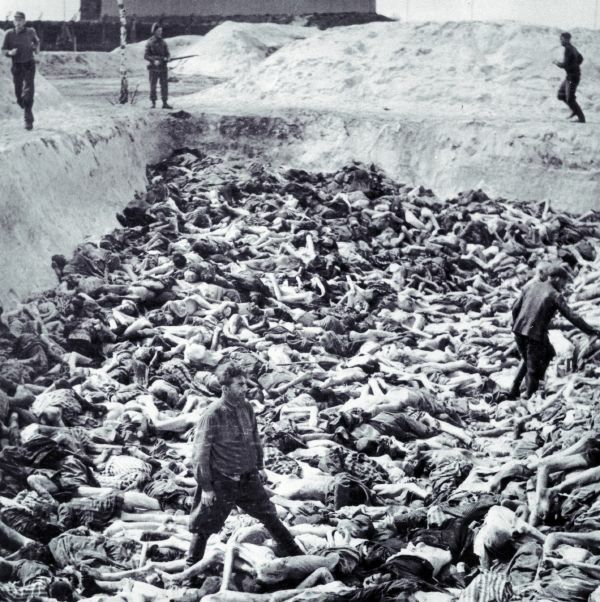 You think of those who were destroyed by Nazi Germany. Think of the gas camps. Think of the multiplied millions that were put to death under Stalin and the others, the atrocity of Communism. Well, why that? Why these immoral things? Well, if you believe that you came from animals, if you believe that everything is an accident, ultimately, there can be no standard of right or wrong. You teach people that they’ve come from animals; and, after a while, they’ll begin to live like animals. It follows as night follows day. What do animals live for? Self-gratification, self-preservation, self-propagation. And, that’s what the average American is living for. But, the Bible teaches that man did not spring from the beast; he is headed toward the Beast—that is, the Antichrist. 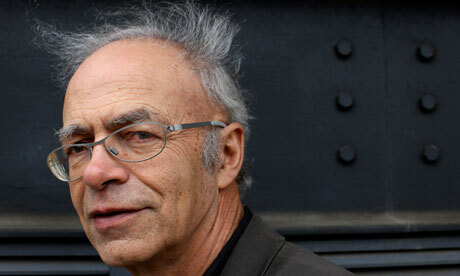 Peter Singer, who is an ethicist—so-called—at Princeton, believes that we ought to be able to kill little babies, if we don’t like them, if they’re not perfect enough for us. Now, I’m not talking about babies in the womb; I’m talking about pure infanticide. He believes that a live chimpanzee is of more value, if that chimpanzee is healthy, than an unhealthy baby. I was in Israel, I was a guest, there, of the Israeli government. They gave me the best guide that they had in Israel. And, that man in Israel—I’ll not call his name, because, thank God, I believe he listens to this program; and, I’m grateful he does, because I’m still trying to witness to him—but this man—a brilliant man, the curator of the Rockefeller Museum there—became a friend. We sat up, one night, late, talking. I said, “Sir, do you believe in God?” He said, “No, I do not.” I said, “Why don’t you believe—why don’t you believe—in God?” He said, “The Holocaust. What kind of a God would allow that to happen?” That deals with the message I preached this morning. Because of the Holocaust. I said, “Then Hitler has caused you not to believe in God?” He said, “Yes, I detest Hitler.” I said, “Well, you’re on the same side as Hitler. Hitler didn’t believe in God, as such; you don’t believe in God. Hitler believed in evolution; you believe in evolution. Evolution is the survival of the fittest; you believe in the survival of the fittest. And, Hitler had his gas ovens, because he thought that the Aryan race was superior to your people, sir. You’ve become very much like the thing that you fight.” It’s only a short step from believing in evolution to the gas ovens, or whatever. You see, folks, if there is no God, you can choose what you want. I said to this man, “Sir, if you don’t believe in God, then let me give you a proposition: If there’s a sick baby and a healthy dog, which one would you choose?” In a moment of honesty, he said, “If it were my dog, I would choose the dog.” Let the baby die; let the dog live—why? There’s no God, no creation. Man is not distinct from the animals. All we are is an animal with a thumb juxtaposed to five fingers, with a knee that causes him to stand upright, with the ability to articulate and to think abstractly. If that’s all the difference there is, I submit to you, the man was right. And, who can say what is right, or who can say what is wrong? Therefore, I reject—I reject—evolution on the moral basis. And, I want to tell you, folks, the battle lines are being drawn today. Over what? Euthanasia. Over what? Genetic engineering. Over what? Abortion. Over what? A basic sense of right or wrong. Now, if evolution is true, then all of these things are up for grabs. We have morality by majority—whatever a person wishes to believe or think. Self-autonomous man wants to have it his way. Now, here’s the third and final reason: I reject evolution not only for logical reasons, and not only for moral reasons, but I reject evolution for theological reasons. Now, this may not apply to others, but friend, it applies to me, because the Bible doesn’t teach it, and I believe the Bible. And, you cannot have it both ways. There are some people who say, “Well, I believe the Bible, and I believe in evolution.” Well, you can try that if you want, but you have pudding between your ears. You can’t have it both ways. Now, remember that evolution is not a science. It may look like a science; it may talk like a science, but it is a philosophy; it is science fiction. It is anti-God; it is really the devil’s religion. And, the sad thing is that our public schools have become the devil’s Sunday School classes. But, as surely as I stand in this place, there is a God. He created us. And, God will bring every work in judgment, whether it be good or whether it be evil. Those are the reasons I reject evolution: for logical reasons, for moral reasons, and for theological reasons. Now, Darwin wrote about the destiny of the species. Man wants to know from whence he came. A bigger question than that is, “Where is he going?” Friend, where you came from is a settled thing—that’s over; it’s done. Where you’re going is not yet settled, if you don’t know Jesus. And, I want to tell you, friend, the wisest thing—the best thing you could ever do—would be to be concerned not with the origin, but the destiny, of the species, and, primarily, with your own personal destiny. May I ask you a question? Are you saved? I didn’t ask if you were Baptist, or Methodist, Presbyterian, or whatever. Are you saved? I didn’t ask if you were moral or nice. Are you saved? I didn’t ask, “Do you know the plan of salvation?” I said, “Are you saved?” I didn’t ask, “Do you believe the plan of salvation?” I asked, “Are you saved?” You’re not saved by the plan of salvation—or even believing in it. You’re saved by Jesus Christ—and trusting in Him. Do you know Him? Do you know Him personally? Have you taken yourself off the throne and enthroned the Lord Jesus? Have you received Him as your Lord and Master, and have you yielded your life to Him? If not, I want to ask you to do that tonight, because I want to say again, from whence you came is already settled—that’s your origin. But, your destiny, right now, is in your hands.